Yasujiro Ozu is the ultimate master of simplicity, and it is perfectly exemplified in his masterpiece “Tokyo Story”. A display of mundanity, the film follows the life of a multi-generational Japanese family circa 1950s. There is such a universal quality to the characters and their routine, their home and their everyday struggles, that the audience cannot help but feel connected in every frame. This, coupled with Ozu’s stunningly unique cinematography (the camera hardly moves and sits just at eye level with the characters practically throughout the whole film), is what makes the film so pure. 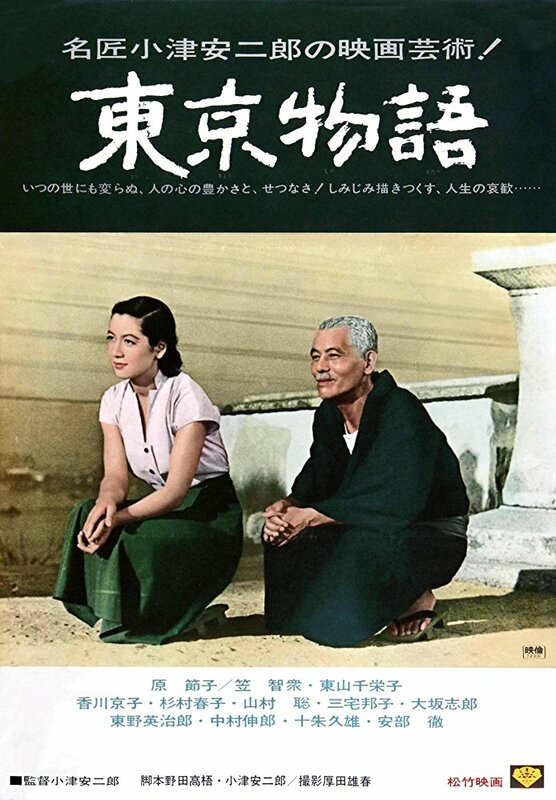 Tokyo story is less about cinematic grandeur and more about finding peace and beauty with the stillness of each shot. One cannot help but feel emotional, empathetic, almost in love with, the characters--especially Noriko, played by the supreme Setsuko Hara. If you like Tokyo Story you most certainly will like Ozu’s other features such as Late Spring, Good Morning, and Floating Weeds.